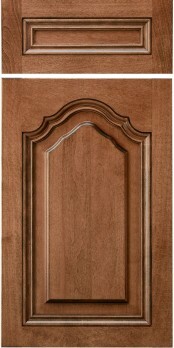 The Presidential Cathedral is one of Conestoga’s prized doors because it is so difficult to manufacture. The ornate bead must not only be molded in the intricate arched pattern, but the corners must be mitered and THEN mortise and tenoned together. No-one else offers a door quite like it.